Anne Kursinski, Beezie Madden and Laura Kraut share wisdom with young riders at the George H. Morris Horsemastership Training Session. Anne Kursinski spoke about developing connection and feeling with your horse by establishing a solid position and riding lots of transitions to test responsiveness. Beezie Madden built on Anne’s lessons, focusing on control and adjustability by getting your horse in front of your leg and riding transitions over ground poles. Laura Kraut taught how to ride a successful jumper course by thinking about the time allowed early, creating energy to get over the jumps and never giving up. The three Olympians shared their knowledge with auditors and 12 young riders, who tackled training on the flat, gymnasticizing and competing their horses in a Nations Cup-style event, at the 2017 USEF George H. Morris Horsemastership Training Session, held in January in Wellington, Florida. The clinic, presented by the U.S. Hunter Jumper Association and sponsored by Adequan, Ariat, Practical Horseman and Equestrian Sport Productions, is designed to develop the next generation of U.S. Equestrian Team talent through intensive mounted and unmounted instruction. Athletes earned invitations to the 2017 Training Session through one of three avenues: success in specific U.S. Equestrian Federation competitions, performance at the U.S. Hunter Jumper Association Emerging Athletes Program National Training Session or by selection from a competitive pool of wild-card applicants. The three coaches’ tips and advice, though, can improve the horsemanship skills of riders of all levels. On Day 1 of the Horsemastership Training Session, Anne focused on working on the flat. Anne, a five-time Olympian with two team silver medals, was voted the 1991 Female Equestrian Athlete of the Year by the U.S. Olympic Committee. During that year, she claimed individual and team gold medals at the Pan American Games in Caracas, Venezuela. In 1988 and 1992, she was named the AHSA (precursor to U.S. Equestrian Federation) Horsewoman of the Year and in 1995, she was named AHSA Equestrian of the Year. 1. Rider position, attention to detail and flatwork are key. 2. Connect your body to connect the dots. 3. Be patient and aware. 4. Test your connection—a lot. Lengthen and shorten the trot and go from posting trot to sitting trot and back again. Do countless transitions. Then balance in two-point position to test if your horse has accepted your seat, legs and reins with lightness. If he has, he will maintain the same balance and rhythm for several steps. Pilot your horse into small circles to test his responsiveness to your aids. You have to put in the time and then test or ask as if you are going to get the right answers. Another exercise you can use to test his responsiveness is to ride a shoulder-in. When going to the left, keep your hands even and move both of them and your torso slightly to the left. “Take a little and give a little,” Anne advises. “Push with the seat and receive with the hands. Keep the inside leg active.” Lateral work is mental and requires the horse to be respectful of the rider. 6. Knot the reins for sympathetic contact and connection. Try tying a knot in your reins “just for fun.” Hold the reins in front of the knot, closest to your horse’s mouth. The knot requires you to have longer arms and use more give and take with the reins. Make a circle and then leg-yield out to encourage your horse to step into the outside rein. You’ll know the exercise has merit when your horse is softer and more responsive. “Connection is key,” Anne says. 7. Give when your horse responds. 8. Isolate the shoulder to move the haunches. Isolate the haunches to gain shoulder control. Day 2 featured Beezie, who built on Anne’s lessons while working on gymnasticizing the horses. Beezie is a three-time Olympic athlete, an individual Olympic bronze medalist and a member of two gold-medal U.S. teams. In 2006, she won both team and individual silver medals at the World Equestrian Games and in 2014, she returned to the WEG to claim both a team and an individual bronze medal. 1. Control the pace and line while freeing the neck. Get ready for action by putting your horse in front of your leg and on the outside rein while making sure he doesn’t drop his shoulder to the inside. “If the shoulder [balance] is on the outside, it frees up his neck,” Beezie says. “That’s one of the reasons to have the horse on the outside rein. The other is that the outside rein controls the pace and the line.” No matter what you are doing, feel as if you can jump a fence with enough impulsion so that the horse has spring in his step. Remember: The goal is to make every jump in the middle of your horse’s arc over the jump. 2. Use ground poles for practicing a variety of exercises. Beezie sets up ground poles in a number of ways to help riders gain the skills to improve their horses before graduating to bigger jumps. Set the poles 45 feet apart and fluctuate the number of strides and different gaits between poles. Work on pace, balance, rhythm and riding with feeling. “They have to stay in your hands so you can control the balance and the stride,” she says. The changes in stride and transitions test and improve your horse’s adjustability. Stop your horse in a variety of places to test responsiveness. “I like stopping straight in the corners because horses anticipate turns in a short arena,” she advises. After completing a jump or a line of jumps, halt your horse instead of turning to slow down. Make sure you halt straight. Use your back by stretching up for strength, not your hands. Your seat needs to stay in the saddle for a downward transition. If your horse backs up instead of halting, leg him up and allow him to walk forward a step or two before halting again. When he fusses, keep your hand above the withers. Try to make the halt smooth and keep your horse on the bit with your shoulders behind your hips. 4. Use leg to create roundness. You want your horse’s hind legs reaching under your seat and not behind you while he stays up in the bit, creating roundness. You need this activity in the hind end to jump big jumps and your leg is the impetus for getting that roundness. When your horse lengthens his body, the way to shorten it is by thinking of using your leg to your hand. Make a fist and close your fingers on the reins. Next, pilot your horse in small circles while pushing the haunches out into a bigger circle. For example, as you turn your horse to the right, look to the right, open the right rein and push with the right leg to give the feeling that the leg is bending the horse instead of an indirect rein. To make your horse more supple, be sure and use your inside leg when coming around a turn and not just your outside leg. 5. Use your body to slow down. Make sure your shoulders are behind your hips while slowing your horse. “Your seat needs to stay in the saddle for a downward transition,” Beezie says. Try riding over a series of ground poles and halt mid-pole with the horse straddling it. The exercise, meant to teach connection, the delicate control between the hand and the leg, and patience, is not easily mastered. “Use your back for strength,” she says, by stretching up. “Do not use your hands. You have to get more independent with your balance. Soft with the hands, soft with the hands, soft with the hands.” If your horse resists, he may not be confused; sometimes it’s an avoidance of the connection. “You’ve got to be strong when they’re resisting and soft when they’re giving,” she says. 6. Don’t zone out while riding. Make a habit of ensuring that you and your horse are attentive whether walking, cooling out or when you are hanging out and talking to friends while mounted. When riding, if your horse zones out and ignores your request for more energy, first use your calf to remind him to pay attention. If that doesn’t work, turn it up a notch and keep increasing the volume with the spur or the stick until he listens. “Ask and take your leg away,” Beezie says. “When you ask, there has to be a reaction.” Remember, if you want a reaction forward, you have to take the brakes off and not pull on the reins. He should hold the reaction for a stride or two. 7. Keep weight in your heels. When your horse hops or bucks to avoid the halt, put weight in your heels. “You have to weight your heels without stiffing him by gripping with the legs,” she says. “There is a fine line. Sometimes you’ve got to push them through something, but you also don’t want to get them so frustrated they can’t concentrate.” Don’t increase your horse’s anxiety by constantly gripping with your legs instead of taking pressure off by weighting your heels. On Day 3, the 12 riders were divided into teams of four and a Nations Cup-style competition pitted the three teams against each other. Laura gave the riders feedback specific to each competitor after their rides on the Conrad Homfeld-designed course. She cautions that some of the advice is geared to a situation unique to that course and to tailor these tips to your individual circumstances. Laura represented the United States at the 2008 Olympic Games and came home with a gold medal. She was a member of the 2006 silver-medal World Equestrian Games team at Aachen. She is highly ranked on the All-Time Money list in career earnings with more than 100 grand prix wins. 1. Make judicious use of your time early in the course. “Something I think about when I’m in a grand prix Nations Cup is if there’s an opportunity in the beginning of the course to go quick before you get to the meat of the course, so you can get rid of the time faults early,” Laura advises. “You have got to put leg on. Help him out. Give him that reach,” Laura says. “When you pull a rail, the first thing that should go through your mind is, ‘I just had a bad rail. I need to kick into gear and get going.’” Don’t slow down. You’ve got to get a reaction. Get over it fast. Make up time. Often the rider’s choices allow the chance for the horse to clear the jump. Help your horse over the jumps by using your body or applying your legs to give him confidence. If there is a water jump, you need to build momentum and keep that momentum to clear it. If you need to increase energy, do so. 3. Jump the fence like you mean it. If you pull a rail, never, ever look back to check. Never. This article originally appeared in the April 2017 issue of Practical Horseman. Equestrian tradition, downtown shopping and dining, and storied history are a few of the references Southern Living magazine made when describing Aiken as "one of the South's most beautiful small towns." After a trip to Aiken, the magazine's senior editor, Valerie Luesse, penned "Springtime in Horse Country," an article that printed in March. Today, the City of Aiken is up for best small town in Southern Living, a nomination that is essentially an editor's choice of places they've discovered and loved over the past year, according to Jenny Burghardt, tourism supervisor for the City of Aiken. The City announced the nomination online this week, which is part of the magazine's South's Best Awards, but Aiken will need the public's help to earn the recognition. The public can vote for Aiken at southernliving.com/southsbestvote. Voting closes on Oct. 8. The tourism team also says the public can help vote for its partner, The Willcox, which is nominated for the South's best restaurant and hotel. The Willcox and The Village at Woodside have both had previous recognition from Southern Living, according to Burghardt. The relationship with Southern Living, from the City's standpoint, goes back to when Burghardt and the tourism department reached out to Luesse a little more than two years ago and invited her to explore Aiken for herself. "She fell in love and produced a beautiful story about Aiken in March of this year, as well as some shout-outs in roundup articles through their website for places like Cyndi’s Sweet Shoppe, Tres Caminas and Aiken State Park," Burghardt said. She added the best small town nomination means a lot to the City, "because it shows that people love Aiken." "It creates great awareness for visitors and potential visitors as Southern Living is a name that people know and trust," Burghardt said. "They don’t have to take our word for it, but someone else is telling our story – giving it great credibility. 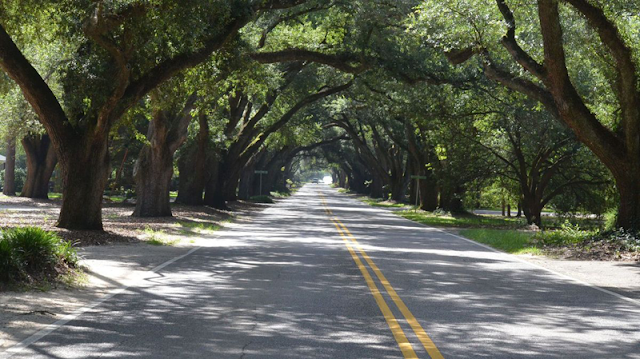 "Since the spring article on Aiken came out this year, we've had many visitors tell us they discovered Aiken because of the Southern Living article. We hope this will be another opportunity for people to discover Aiken and fall in love with the charm and beauty that we all have." Original published ​by Christina Cleveland at AikenStandard.com on Sep 16, 2017. Christina Cleveland is the city government reporter at the Aiken Standard.